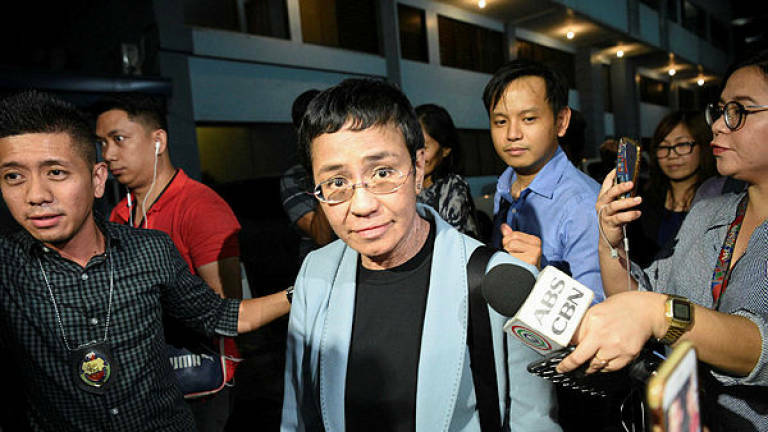 14 Feb 2019 / 13:14 H.
“It’s about two things: abuse of power and weaponisation of the law,“ an emotional Ressa told journalists as she stepped out of a Manila court where she posted bail. “What we are seeing is death by a thousand cuts to our democracy,“ added Ressa, who was named a Time Magazine “Person of the Year” in 2018 for her journalism. Ressa paid 100,000 pesos (US$1,900), the sixth time she posted bail to avoid detention following a slew of charges. “The arrest of journalist @mariaressa by the Philippine government is outrageous and must be condemned by all democratic nations,“ Albright said in a tweet where she called Ressa a friend.